Parents and grandparents were welcomed to the School on Thursday, 7th April. 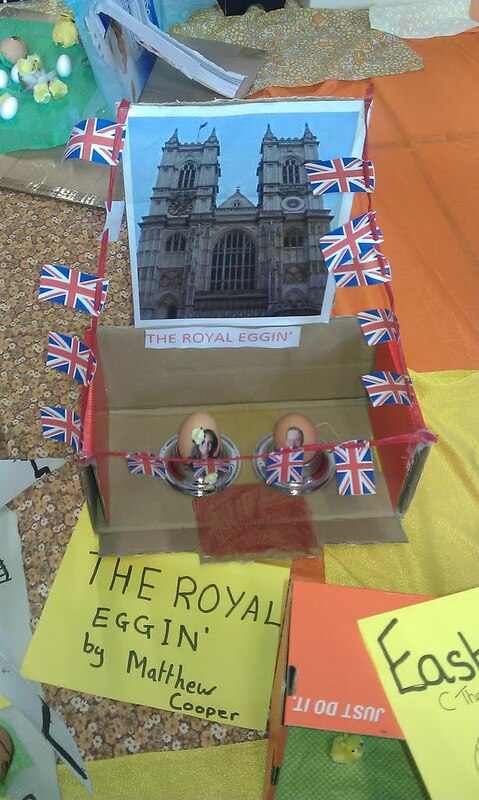 After a short service on the theme of Holy Week, we were treated to a wonderful display of decorated Easter eggs and colouring pictures, followed by the parade of Easter hats in the School Hall. All eggs, pictures and hats were made during Art and Technology lessons. The FOSMS Easter Raffle was drawn followed by playtime for the children. Parents and grandparents were served with tea and cakes, after which they took the opportunity to observe R.E. lessons in each classroom. Well done everyone!